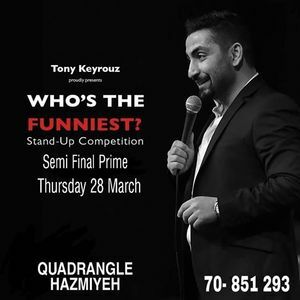 Tony Keyrouz proudly presents : " Who's The Funniest ? " A Stand Up comedy competition joining amateur Stand Up comedians . 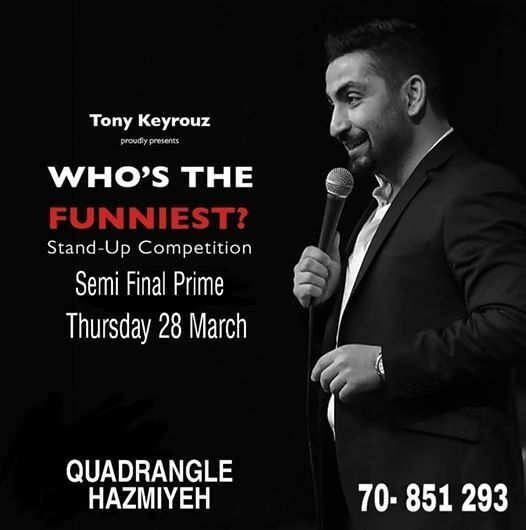 Semi final prime will be on Thursday 28 March at Quadrangle Hazmiyeh syarting 9:00 PM.